Trusted by over 1 million customers. Fill in our short, simple, secure online loan request form. We connect you with a lender using the information you provide. Agree to terms and get funded as soon as the next business day. We can help you get emergency funds when you need them. Our Online Cash Advance Service is completely free. Our secure technology keeps your information safe. We make the process of finding a Cash Advance quick, simple, and secure. Get money into your bank account as soon as the next business day. Even those with less than good credit may be eligible. What is a Cash Advance Online? Our website helps customers try to find short-term funding through an easy-to-use, browser-based widget. You can access the form at any time by clicking the “Get Started” button at the top of the page. One of the loan products you can request through our free service is an online cash advance. This small loan can be for up to $500. You’re expected to pay it back in full at the end of a short term. While our simple request process takes place from the comfort of your computer, if we are able to connect you with a lender, then you may need to visit a store to finalize your loan. A cash advance online is different from other types of funding. Instead of paying the loan back bit by bit over time, like with an installment loan, the lender will automatically take the total loan amount and fees out of your bank account on the agreed upon due date, which is usually around two weeks after you receive the funds. If this sounds like the type of funding you have been searching for, you can speed up the process by requesting a loan right now. Calls or emails soliciting your personal and financial information. Notification that you have been pre-approved for a loan without you having applied for one. Being asked to send a ‘good faith’ deposit or pay a ‘processing fee’ to secure a loan. The use of scare tactics, abuse, threats, deception, or unfair practices to collect debts. Being threatened with prosecution or jail time for debts, either real debts or debts a person doesn’t owe. Be suspicious of emails or phone calls requesting personal or financial information. Legitimate businesses will not solicit this type of information. Protect your social security number and banking information and never share this with an unverified person or source. If you receive a call or message from a questionable source asking for immediate action regarding your finances, don’t respond. Instead, call the lender or bank at a phone number found on a statement, on the back of a credit or debit card, or some other verifiable source. If you are approached about paying a debt, ask for written verification (this is required by law). Maintain accurate, up to date financial records so that you will be aware of your outstanding debts as well as payments you have made. Also be on the lookout for unauthorized transactions by keeping track of your bank statements and credit card statements. Every few months, check your credit score through a company like Experian, Equifax, or TransUnion. Make sure that the security on your computer, laptop, smart phone, or tablet is up to date. Maximum Loan Amount – This is the highest amount of money you are able to borrow through a single cash advance. The limit varies by state. Depending on where you live, you may be able to borrow up to $5,000 with a cash advance or up to $5,000 with an installment loan – or more based on your salary. Maximum Loan Term – This is the longest amount of time you’ll have to pay off your loan. Remember, the less time it takes you to pay off your loan, the less interest you’ll end up paying. 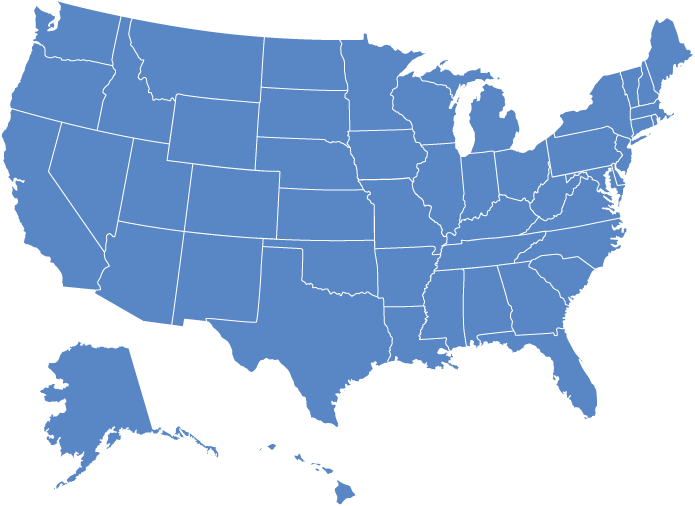 Limit on Simultaneous Cash Advances – Some states won’t let you borrow multiple cash advances. This is to keep you from taking on more debt than you’ll be able to pay off. Everyone has financial emergencies and goes through times when money is tight. You might need to get your car fixed or you might need money to cover unexpected medical costs. Getting a cash advance is one way to get money in a short amount of time. However a short term loan is not a long term solution to financial hardships and is not a solution for your bigger financial needs. Repeated use of these types of loans can actually make your financial situation worse in the long run. These days, the average American household carries $15,000 in consumer and credit card debt. That is a staggering sum of money to owe and it can seem hopeless to ever pay it off. People who are this deep into debt are rarely able to get out without help. And by ‘help’ we don’t mean having a rich uncle offer to pay off your debts! One of the best ways to get out of debt is to learn how to handle your money, which is probably not something you can do alone. A credit counselor offers help to those who want to get rid of their debt problem. Some credit counselors offer an initial counseling session for free. After that you might contract them to help you on an ongoing basis. Since many people never take the time to understand their finances, credit counselors help you to take stock of your financial situation – how much money you make, how much debt you have, how much money you have in the bank or invested. Once you understand your situation, you can begin to learn ways to change your spending habits and better handle your money. A credit counselor helps you make a realistic plan for paying off your debts. The counselor may help you to recognize and change certain habits. They will probably make suggestions such as altering your spending habits, cutting monthly expenses, or negotiating payment plans for existing debts. If you have tried to read books about finances, but couldn’t make changes, it might be helpful to have a real person to talk to face to face when you need advice or help and to keep you accountable. Or maybe you have gotten poor financial advice from family and friends. A credit counselor can help you overcome their poor advice. If you are in debt, a credit counselor could help you on a number of levels. To find a legitimate credit counselor, consult your local Better Business Bureau, the National Foundation for Credit Counseling, or the United States Trustee Program. Whenever you sign a short term loan agreement, you agree upon a payment schedule. This dictates how often you will make payments and how long it will take to repay your loan. Sticking to that schedule will get your loan repaid on time, but what if you chose to pay it off sooner rather than later? You might be asking, ‘Why should I repay my loan ahead of schedule?’ One reason is to save money because you will pay less interest on the loan. Another reason to pay it off early is that you won’t have stress of having an unpaid debt. Limit unnecessary spending – Also called ‘discretionary spending’, this represents the money that you choose to spend on the things that you want. To pay off your loan faster, you can purposely limit discretionary spending. If you eat out a lot, eat at home or take your lunch to work. If you enjoy buying new things – clothes, shoes, things for your home or car, etc – buy fewer things or just wait until your loan is paid off. Get rid of ‘luxury’ expenses – You might enjoy cable TV, but you could also be spending that money repaying your loan. Temporarily cancel your cable or some other luxury expense and use that money towards repaying your loan faster. Prioritize your loan – The first money that you should spend when you get paid should go towards repaying your loan. Make your loan payment your priority before spending money elsewhere. Your lender won’t penalize you for paying more than the agreed upon amount or for paying off your loan early. By following these suggestions, you can redirect your money towards repaying your loan and get out of debt faster. 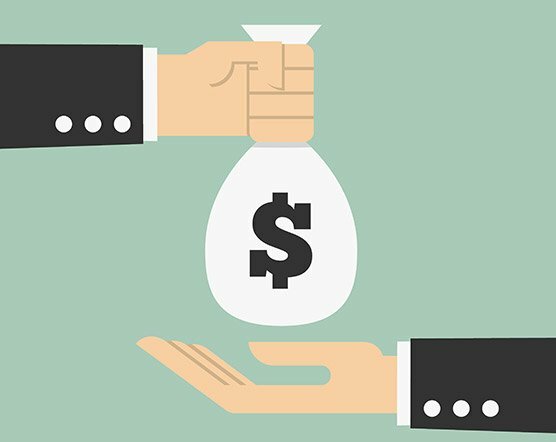 A cash advance is a short-term, small-money loan that can be used for emergency cash when other loan options are not available to the borrower. This type of loan can be funded faster than a traditional bank loan. Acceptance for a cash advance is usually not dependent on a high credit score. The amount borrowed and the fees charged are determined by the lender and are influenced by the borrower’s credit score, location, and other factors. Some lenders offer an online application that allows the borrower to complete most (if not all) of the application process from their home computer. An installment loan is a form of closed-end credit where the borrower repays the loan through a series of scheduled payments. Installment loans tend to have lower APRs than loans with shorter terms, though that may not always be the case. The amount you can borrow depends on several factors, but you may be eligible for as much as $5,000 when connected through OpenCashAdvance.com. If you’d like to request your short-term loan over your cell phone or landline telephone, please use this cash advance phone number: 1 (844) 675-7424. The automated system is ready to help you through the loan request process. You can use the intuitive step-by-step system to try to reach your goal of requesting a loan. After you call the number, the system will ask you for some basic information and then may try to connect you with a trusted lender. The entire process may only take a few minutes. If connected, you can be directly transferred to a lender without needing to hang up and redial. Repaying your loan couldn’t be easier. Providing your banking information allows your lender to deposit your cash advance directly into your bank account. Automatic withdrawal can also be set up to make paying off the loan even easier. Be aware that if you agree to a loan, full repayment is expected. Read the loan agreement in full before signing the contract. Your lender provides the terms and conditions for your online cash advance and repayment is on their terms. Late payments or failure to pay back your cash advance will lead to more fees, higher debt, and debt collection activities. Failure to repay your loan can also hurt your credit score. Your lender may offer to extend, refinance, or renew your cash advance loan which also leads to more charges, fees, and interest. Not every lender is the same and each sets their own terms for each of these activities. Please read your loan agreement to better understand your lender’s specific policies and procedures. 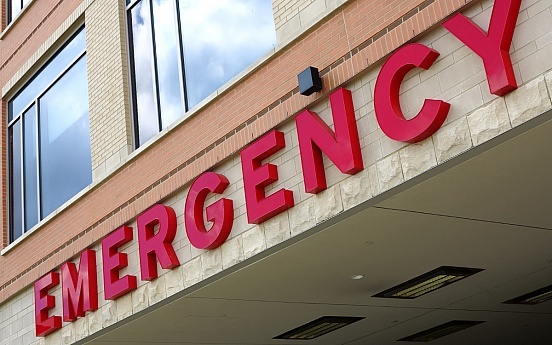 Fear of your emergency room visit cost should never keep you from getting the medical care you need. If you think you need to see a doctor, you should make it happen, no matter the expense. That said, it helps to know your emergency room cost so you can plan for it.